It’s March and we’re hitting the midpoint of very busy legislative session that will be critically important for thousands of Vermont workers and families. 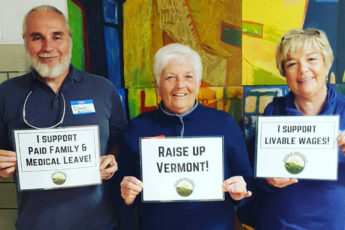 Rights & Democracy is the only organization in Vermont working to build a veto proof majority in the Vermont State House in support of paid family and medical leave insurance and raising the minimum wage to $15 an hour by 2024. To make this happen this session, we need your support today. Become a monthly sustaining member by April 15th and receive a seat at the NH Presidential Primary forum AND a free t-shirt! RAD members ran for legislative offices this past year in record numbers and RAD members also volunteered in record numbers! In all, RAD helped to secure a veto-proof majority in the Vermont House and Senate and re-elect Lt. Gov. David Zuckerman. Now, we’re working to leverage these new voices to hold firm to the promise made to voters that they will raise the minimum wage this session! 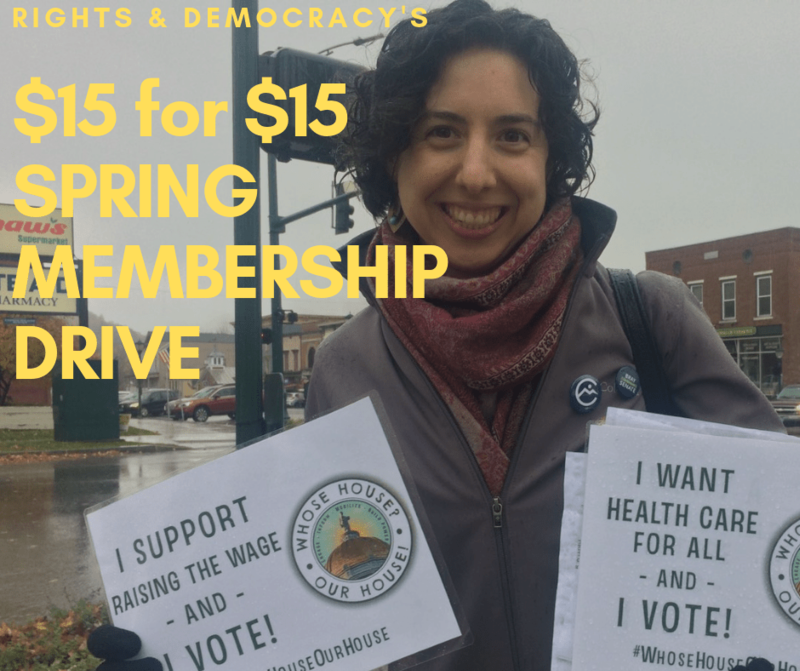 Give to our $15 for $15 Spring Membership Drive today and help us win big for workers and families throughout Vermont! Thank you for supporting an economy in Vermont that works for everyone.